It is amazing to me the things a dog can be trained to do, and how much that dog and its skills can enhance a person’s quality of life. In this non-fiction book, the author, a woman with Cerebral Palsy, describes how her life changed when she was matched with service dog Slugger. 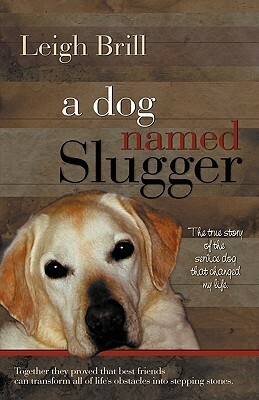 I really enjoyed reading about Slugger and other dogs like him. Two little kids, one with Heidi-of-the-Alps braids and the other with a hat that meant business, outfitted with tyke-sized backpacks (complete with carabiner clips), and walking sticks. They set out on an exploration of the park, leaving no stone or garter snake unexamined. Love it!